Dr. Stephen Gaines and the team at Sherwood Dental use advanced systems such as CariVu and Oravital to prevent the effects of the leading causes of tooth loss: decay and gum disease. The team also applies the latest technologies and techniques to replace teeth in cases when decay or disease is too advanced to be effectively treated with root canal therapy or other procedures. Sherwood Dental takes pride in its work; should a mishap on the rink or elsewhere result in the need for tooth replacement, professional staff will get you back to chewing (and smiling!) again in no time with Dental Bridges in Oakville ON that are as cost-effective and low-maintenance as they are lifelike and durable. The team that prides itself in “dentistry for people who love to smile” will recreate a tooth that looks, feels, and functions like the real thing. They do so with aesthetic, safe, and long-lasting materials. Your journey to rebuilding a tooth or several teeth is also comfortable, pleasant, and gentle thanks to Sherwood Dental’s conservative approach to conventional dentistry, such as minimally-invasive lasers. Laser technology generally results in very precise treatment, fewer unwanted side effects from procedures, and promotes faster healing. · As with all procedures, Dr. Gaines or Dr. Arti Patel examine your teeth and mouth and discuss your preferences for tooth restoration or replacement with you. While Sherwood Dental’s minimally invasive root canals have a very high success rate, they can’t save every damaged tooth. In these and other cases, extraction followed by a bridge tailored to your unique specifications and characteristics may be recommended. Many Sherwood Dental patients are great candidates for bridges. But you do need some surrounding healthy teeth to benefit from bridges. Every type of replacement tooth depends on something to hold it in place. For instance, conventional dentures are stabilized by specialised adhesives or suction. · Bridges get their support from neighboring teeth. Just as a bridge over a road spans two points, the dental bridge spans the empty space between teeth. Adjacent teeth anchor the replacement tooth, which is called a “pontic.” For optimal strength, the anchoring teeth must be crowned. All crowns require the removal of some tooth structure, so there is room for this type of restoration to fit. The crowns are fused to one or more pontics, depending on your needs. As a single piece, the crowns and pontics are securely cemented to the anchor teeth. 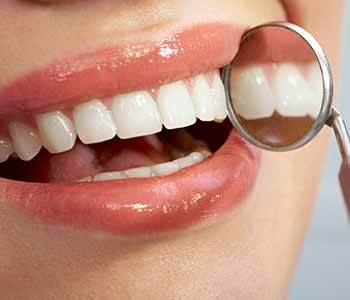 The process of getting your new tooth or teeth generally requires just two appointments. During the first visit, Drs. Gaines or Patel will slightly adjust the abutment teeth structure. This step creates sufficient space for crowns to fit over the anchor teeth. Crowns are fused to at least one pontic, depending on the number of teeth that may be replaced with this type of procedure. Impressions of the prepared treatment sites are created, which are then used to make your permanent bridge. You never have to go without teeth and the site remains healthy, because a temporary is placed while Sherwood Dental’s skilled lab partners make the bridge. During your second visit, the temporary is removed. The permanent bridge is evaluated by your dentist to ensure it is seated properly and firmly, and that is has a natural, pleasing shade and appearance. If all is approved, the permanent bridge is securely cemented to the anchor teeth. Fixed bridges are an affordable alternative to tooth replacement such as crowns, bridges, or dentures that are supported by dental implants placed in the jawbone. Bridges can last for years with good hygiene. The Sherwood Dental team will discuss ways to properly clean under your new bridge. There are many specialised flossing products and dental picks to make care a breeze. Keeping recall appointments helps your dentist to identify any changes to treated teeth and surrounding teeth, which may require intervention to avoid the time, expense, and hassle of additional restorative treatment. You should never have to think about your bridge, and when symptoms like sensitivity arise, contact us at (844) 951-8855 (new patients) or 905-829-1414 (existing patients).